Richard Rolle - the Yorkshire hermit, visionary and transmitter of religious counsel - was widely recognised in the later English Middle Ages as a major spiritual author. However, this influential figure poses difficulties for scholars and remains a largely untapped literary resource. Encompassing over one hundred and twenty books, Rolle's work is central to the largely uninvestigated sacred culture of that period and provides scholars with a rich source of insight. Ralph Hanna has collected and catalogued this important body of work following detailed research of the manuscript evidence over two decades. Rolle's status makes it appropriate that he will be the only Middle English author other than Chaucer to have an author-based bibliography. 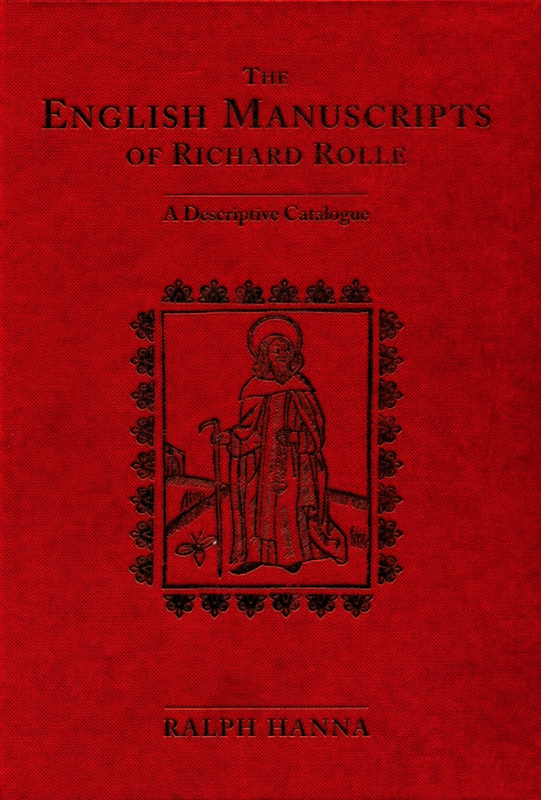 The catalogue describes each of Rolle's books and includes full details of contents and codicology. The book also includes an introduction to Rolle’s work explaining its significance, examining the transmission of his writings, and providing a guide to the conventions of presentation used in the catalogue. A series of indexes provides useful additional resources. Ralph Hanna is Professor of Palaeography at the University of Oxford, and Distinguished Professor Emeritus of the University of California, Riverside. He has published on medieval manuscripts, literary culture and Langland. This will be an invaluable volume, obviously useful to those interested in its name author and his works, but also to all those engaged with later Middle English religious texts and their manuscript contexts. Hanna’s descriptive catalogue is an invaluable source of information for those interested not only in Rolle’s English canon but also in the compilation of the medieval English manuscript book itself. The 123 examples meticulously catalogued here offer an author-based insight into the reading habits and textual tastes of the later Middle Ages thoroughly examined and researched by a master in his own field.